Long before the first day of the Geneva Motor Show, manufacturers habitually begin jostling for attention by revealing what they’ll be revealing, so to speak. Here’s a selection of the Geneva 2012 announcements that have already been announced. Peugeot has announced a lurid 208 GTi Concept for Geneva. It’s a 200bhp attempt to reawaken fond memories of the extinct 205 GTi, assuming any untarnished memories of that car still lurk in anyone’s head. Of more relevance to today will be the XY Concept pictured here, which offers a more modest 115bhp diesel engine housed in a sumptuously trimmed and specially painted 208 bodyshell. 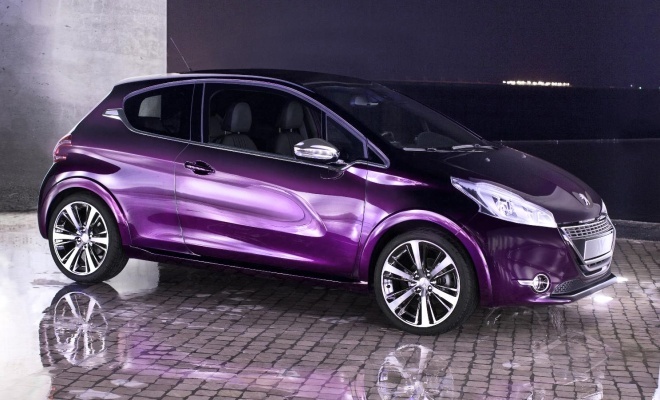 Peugeot calls it “Crimson” but in pictures it looks more like the kind of hue that pop star Prince might have favoured during his Purple Rain phase. Apparently it changes colour depending on how you look at it. The interior, meanwhile, is trimmed in crimson (purple) and pearl grey leather. XY sounds like a reference to the male chromosome pair, so it will be interesting to see if Peugeot will elaborate on its reasoning for the name. Suzuki will be showing off a new concept car called G70, which may elicit feelings of déjà vu as it looks identical to the Regina concept rolled out at the Tokyo show in November, right down to its flared green spats. One glance makes it clear that low drag was a priority in the design, less obvious is a determination to cut the flab, resulting in a 730kg kerb weight. Suzuki estimates that a production version would score 70g/km in official CO2 testing. 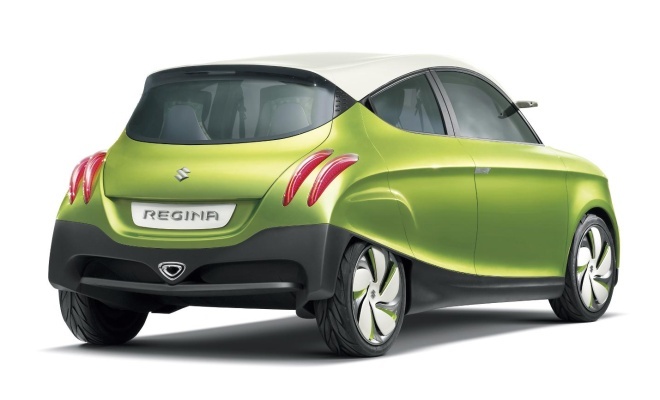 The Regina or G70 will sit alongside another recycled study, a plug-in version of Suzuki’s Swift supermini that first went on show in Geneva a couple of years ago. The Swift Range Extender now boasts a range of 30km (19 miles) on fully charged lithium-ion reserves before its 660cc three-cylinder petrol engine spins into life to generate further electricity. 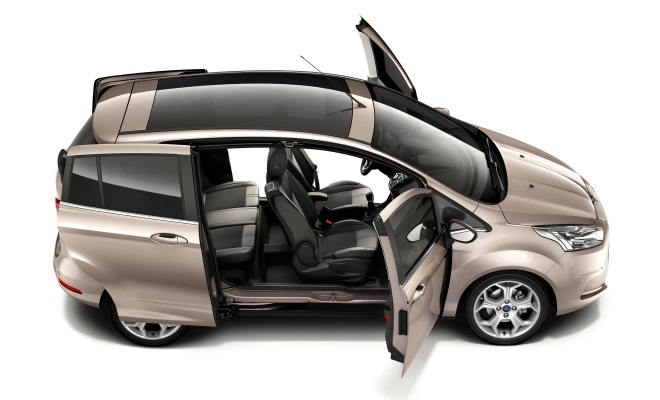 Ford will exhibit the production version of its B-Max compact people carrier, built on Fiesta underpinnings. The finished car bears a remarkable resemblance to the concept version that debuted at Geneva a year earlier. B-Max will be unique in its class – and most other classes – for making do without a central pillar between the front and rear doors. When the front doors have been swung wide and the rears slid backward, the resulting opening should be wide enough to slot in a fence panel. Or, more typically, a kicking and screaming toddler. List prices should be announced at the show. Lots of difficult-to-fabricate high-strength boron steel has been used to keep the B-Max from getting all floppy in the middle, and it can’t be cheap. Ford says the B-Max will be on a par with more conventional rivals in both weight and fuel economy, but will it be competitive on price? Nissan will display a pair of interesting new arrivals in Geneva, the e-NV200 electric MPV and the Golf-sized Invitation hatchback. The EV first: it’s a van, with windows and seven seats and the Nissan Leaf’s powertrain. Nothing wrong with that, of course, providing you need lots of space and lots of seats and haven’t got far to go. The show car should look very similar to the “near production” concept first exhibited at January’s Detroit show, with its Leaf-alike nose and striking blue paint job. The Invitation, meanwhile, will be new to Geneva rather than another recycled exhibit. It’s six years since Nissan has offered a mid-sized hatch in the UK, since the company took the highly successful gamble of jacking up the Almera’s replacement to create the Qashqai softroader. No doubt Nissan will be keen to avoid recollections of the Almera with its new hatch, and the Invitation should make that easy enough. Where the old hatch was timid and forgettable, the Invitation looks both brave and intriguing. Nissan calls the styling “energetic”. You might also call it busy, but it’s certainly not boring. From its Z-shaped rear lamps to its exceedingly wide grille, via its slashed and sculpted flanks, there’s not a flat sheet of metal to be found anywhere on the Invitation. And while you might suppose the Invitation will be destined to replace a foreign-market model like the Tiida, you’d be wrong. The Invitation will go on sale in the UK in 2013, complete with a sub-100g/km eco model. 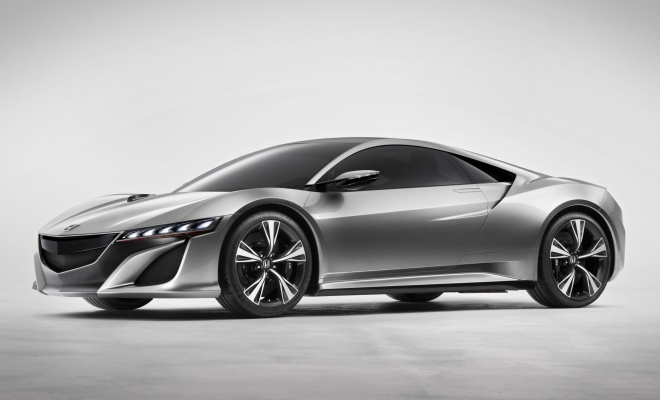 Honda will give show-goers a chance to gawp at its NSX hybrid supercar concept and EV-ster electric sports car, both familiar from Detroit, alongside a new diesel engine. Yes, just an engine. A 120-horsepower, 1.6-litre diesel that will deliver an essential (and fleet-friendly) sub-100g/km option for buyers of the new Civic when it slots under that car’s bonnet later this year. 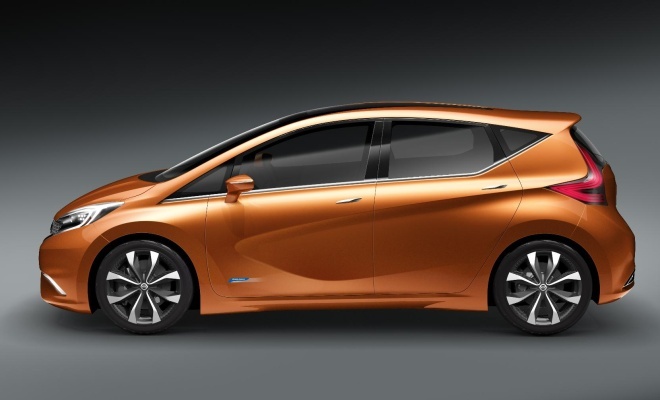 The engine will be the lightest in its class, according to Honda, and is the first fruit of the company’s Earth Dreams Technology initiative. Toyota will exhibit the production version of its compact Yaris Hybrid, alongside some concept cars of interest to green motoring fans. A trio of previously seen concepts will join the FT-Bh – the FC-V fuel cell study and the NS4 plug-in hybrid, both shown at Detroit, plus the Diji electronic showcase, exhibited under the name Fun-Vii at Tokyo last year but given a new moniker for Geneva for no obvious reason. 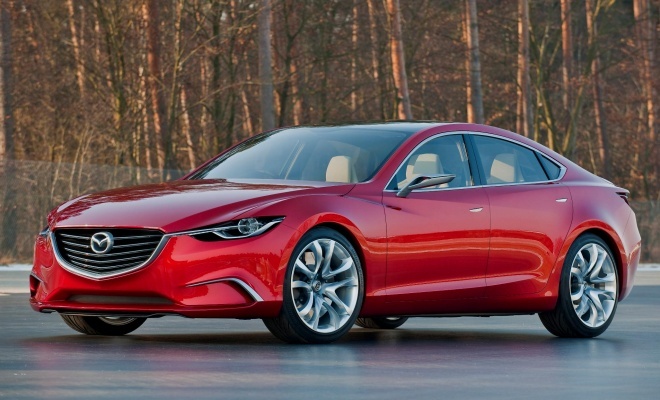 Mazda’s Takeri will make its European debut at Geneva. It looks like an unremarkable, slightly feline family saloon, but it includes an interesting new technology called i-ELOOP (which I have decided to write as i-eLoop for the sake of readability). The system, however you spell it, is a regenerative braking system that uses a capacitor to store captured energy rather than a battery. The energy squirreled away under braking is used to supplement the alternator, thus reducing overall fuel consumption by a claimed 10%. Capacitors ought to provide a very efficient means of recapturing energy, offering fewer overall losses and much quicker response than batteries – useful when braking occurs in short bursts. The main drawback being that it’s hard (and therefore expensive) to build a capacitor that stores a worthwhile amount of energy. 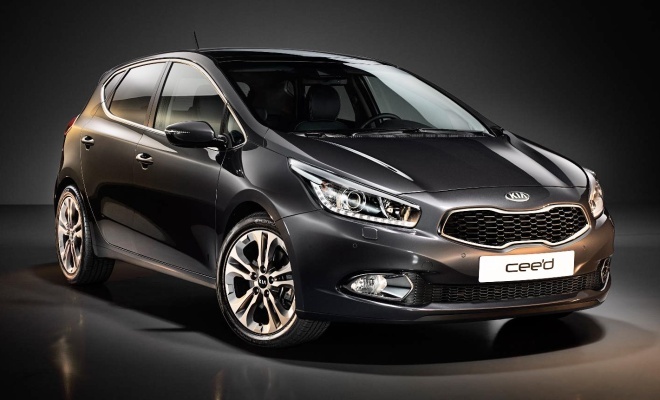 Kia’s second-generation c’eed (which I shall write Ceed) will follow its outgoing namesake by launching at Geneva. Chief designer Peter Schreyer and his team have turned out another Kia with bags of visual interest and personality. The evolving “tiger-nose” snout that adorns all current Kias seems to have morphed in the direction of Maserati’s gaping grille, which can’t be a bad thing. Inside, it’s a clear relative of the smaller Rio supermini, including Kia’s now familiar three-dial instrument cluster. The company adds that the interior is driver-orientated and made with higher quality materials than before, but they all say that. UK deliveries should start in June, while economy figures and prices will no doubt be revealed at next month’s show. Having exhibited a naked chassis at previous shows, Tesla will do the decent thing and show a fully clothed Model S electric car at this year’s Geneva event, alongside special editions of the outgoing Roadster. Right-hand drive production of the Model S is scheduled to begin in mid-2013, but you can reserve one today by paying a refundable £4,000 deposit. Final pricing and specifications haven’t yet been determined, according to Tesla, but US prices range from $49,900 to $97,900. As standard, the car comes with a 40kWh battery with a quoted range of 130 miles, but optional battery upgrades to 60kWh or 85kWh can increase the autonomous range to 230 or 300 miles. The company hasn’t yet confirmed it, but surely it will also display its latest creation – the Model X electric crossover vehicle, complete with its look-at-me “falcon-wing” rear doors. 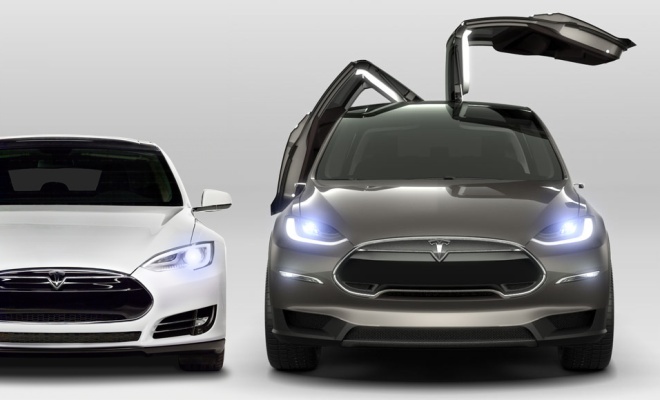 Unlike your run-of-the-mill gullwing doors, which hinge only at the very top of the door, Tesla’s falcon doors have an extra hinge immediately above the side glass, helping the doors to fold up and over even in relatively confined spaces. Falcon or gullwing, neither is much use if headroom is an issue, but swoopy doors do at least help to persuade customers that they’ve bought something special. 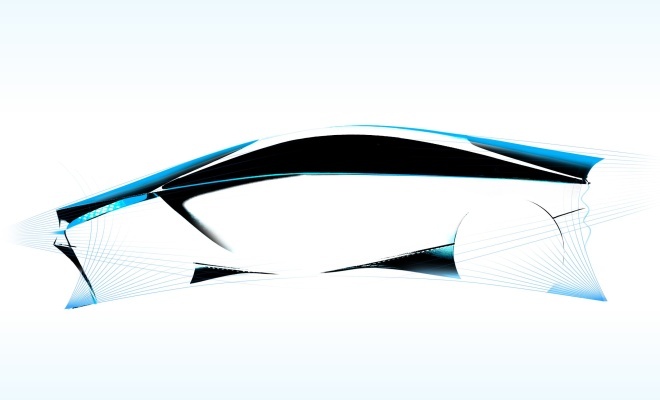 Italian design company Pininfarina will display a new concept car called Cambiano on its Geneva stand. The company has initially published only teaser stills and an obtuse video of the car, which it describes as an elegant, refined and luxurious sports saloon that is also environmentally friendly. It will be interesting to see how the famous coachbuilder manages to marry the various opposing forces contained in that description. The company has elaborated that the eco aspects of the Cambiano study extend to both propulsion and materials. 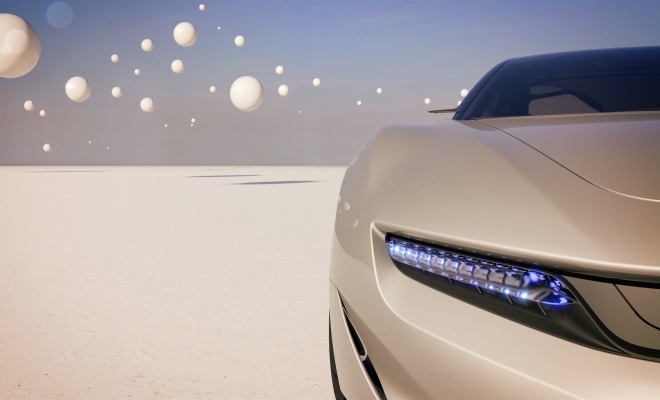 The concept’s name is shared with the northern Italian town, close to Turin, where Pininfarina’s styling studio has been based for the past 30 years.